So elegant, Maile. It amazes me how a simple squiggled line can do/add so much. I love this card! The water ripple is very artistic looking and goes perfectly with the swans. 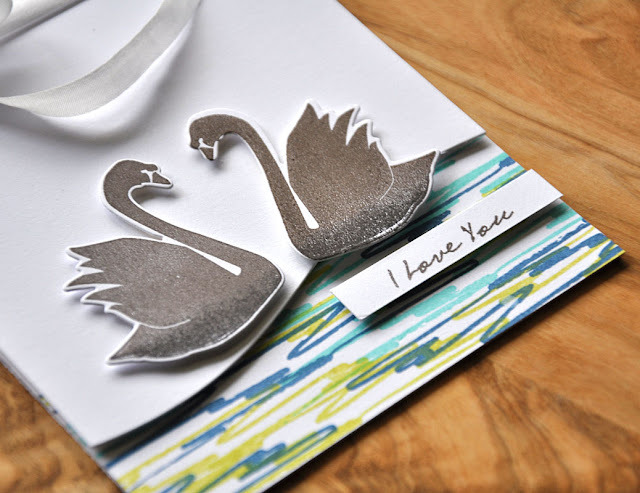 However, as you mentioned it could be used to accent a sentiment or make some graphic patterned paper. Well done! Oh this is so cool!! I LOVE the water!! This set brought to mind a trip to a German castle a number of years ago. A swan swimming in a mote perused our group and then swam away only to return in a few minutes with her young ones swimming behind her for us to admire. I'll enjoy using this stamp set! This is one of the most gorgeous cards I've seen in a long time. Awesome, Maile! This swan set is one of your best. I absolutely love it. Love the card and the water ripples really help make it. 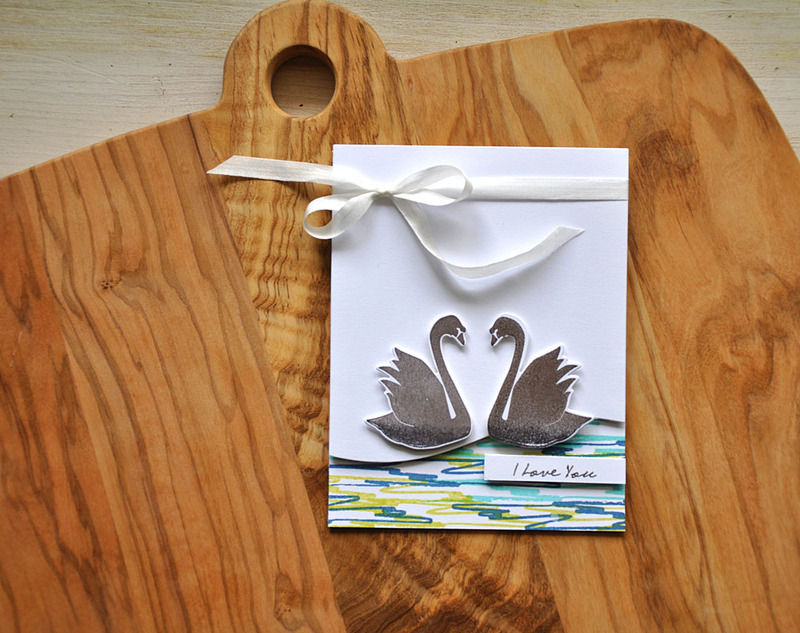 Love the graceful swans and especially love the ripples! Such a peaceful and serene love card, Maile! Swan'sational looks like a much-needed set with just the perfect details.